On 21 March 2015 the ships of the NATO’s SNMG-2 have left the Black Sea. While the Turkish frigate TCG Turgutreis left the task force and returned to her home port in Gölcük, İzmit, the flag-ship of the SNMG-2, USS Vicksburg sailed straight to the Mediterranean. 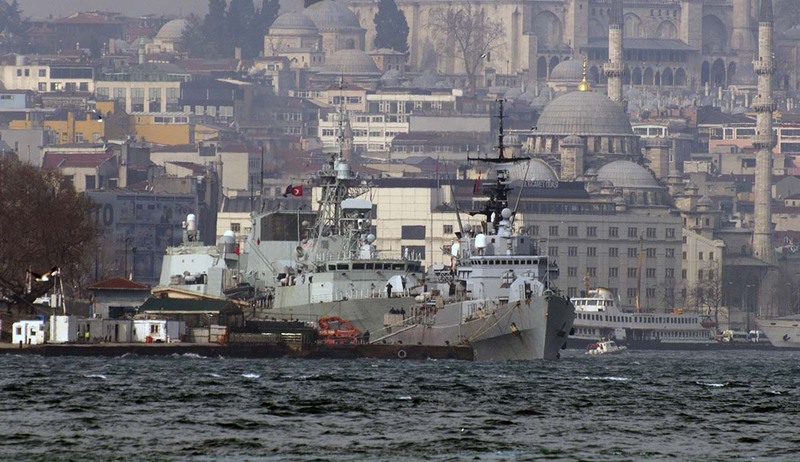 The Canadian and Italian frigates made a 2 day port visit in Istanbul which ended on 23 March 2015. Hopefully they gained some useful intelligence about the capabilities and tactics of the Russian Armed Forces.